With his strong community values and love for education, Kevin Lavoie of Frenchville has raised the bar in his current position to ensure the future of career and technology education for the leaders of tomorrow. The 51-year-old was raised in the Frenchville community and has worked in various settings, primarily in healthcare, but a substitute teaching stint started him on the path to his current position as the director of the St. John Valley Technology Center. Lavoie began his career working in different business roles at Northern Maine Medical Center. After a few shifts in position, the superintendent of SAD 33 encouraged him to apply for a position as a long-term substitute in physical education. He excelled at the job, and became the coach of several sports teams at the school. “My interest in education was born in that venue,” he said. After the school year ended, Lavoie stayed on with the school over the summer of 2009 to work on the maintenance of the high school. He took a break and returned to the healthcare field, working as the chief executive officer for a home health company. But by the next school year, Lavoie was back at SAD 33, where he accepted a position as Wisdom High School’s athletic director. In 2011, Lavoie was asked to return to NMMC, where he held a variety of administrative positions. However, something in his life was missing. The career and technology education (CTE) teachers knew Lavoie from the students he took under his wing as interns at NMMC. They suggested that he apply to the St. John Valley Technology Center. “I thought, I love kids, the school system, coaching … so I interviewed and was blessed to get the job,” Lavoie said. With the desire to expand the school to more than it was, Lavoie immediately began working toward improving the current programs. He even got a grant to hold a summer welding camp for high school students. “I want the younger kids to see the benefits of trades,” he said. Lavoie said that pulling the home economic classes out of the school systems was a “great injustice” as he looked at students who were unable to sew on buttons, change tires or balance a checkbook. He said that many people in trades are getting older and retiring, and there is a need for young people to learn the trades and take over. Lavoie’s community involvement extends back several years, having served on and led committees such as the town of Frenchville’s budget committee, wastewater committee and planning board, and he served as the town meeting moderator. He was on the board of directors for LaValle FCU, the St. Luce Parish finance and pastoral councils, the diocesan cluster 2 planning commission and the SAD 33 school board. 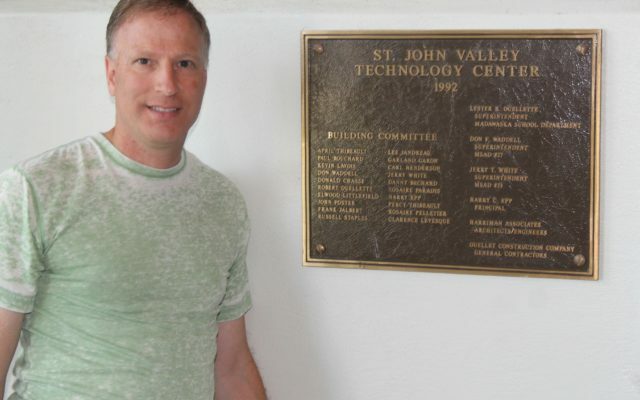 While on the board for SAD 33, he was on the building committee, where he actually helped plan and build the St. John Valley Technology Center.